When travelling by train, you avoid transfers, endless queues at crowded airports or the stress of driving in a different country. Reach your destination fresh and relaxed. Whether it is for long or short journeys, comfort is always appreciated. Onboard, you will find spacious carriages with large seats and space for luggage. From high speed trains, offering an efficient and rapid connection between two cities to luxurious trains or panoramic trains offering spectacular scenery, a train ride can be a destination in itself. Whether you go for a Pass or a Point ticket, you can always benefit from attractive prices. Tickets can be very affordable when booked in advance and Passes not only offer discounts but also give access to bonuses. Think about making that trip a little greener by travelling by train. Well-established high speed rail systems operate in a more environmentally friendly way than any other means of transport. Passes A Rail Pass allows you to travel unlimitedly on the rail network(s) of the country(ies) covered. This is usually the best value for money if your itinerary includes 3 journeys or more. Point to Point Tickets Point to Point tickets are valid on a specific route, between 2 stations. This is a recommended option to take if travelers have only few trips in mind rather than a pass. 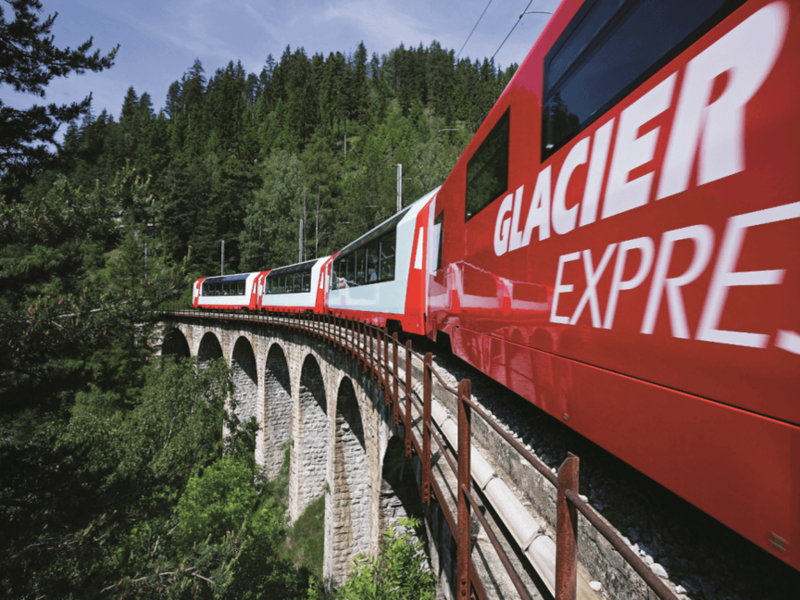 Swiss Travel System Tailor-made itineraries featuring famous mountain peaks and spectacular rail journeys. Unescorted tours that allow you to explore a particular area at your own pace.